So you might be asking, "What do they mean by customizing my coffee? Do you like a lighter roast and want to taste more of the natural flavors in the coffee? Do you prefer the bold taste of the darker roast? Are you somewhere in between? Do you want whole beans, or ground? If you want them ground, we can grind it to work optimally with whatever brewing method you use. Not only will this ensure that you get your coffee just the way you like it, but it also means that we do not roast your beans until we receive the order. Your order will ship out as soon as possible, straight from the roaster. You simply cannot get any fresher than this. We start off with one pound of green, unroasted coffee beans. The final weight of the beans will vary, depending on how dark or light you want your coffee. (Usually 12-14 oz.) The darker the beans are roasted, the more the internal water boils off, the less each bean weighs. We are now carrying a limited number of coffee flavors to use with your beans. 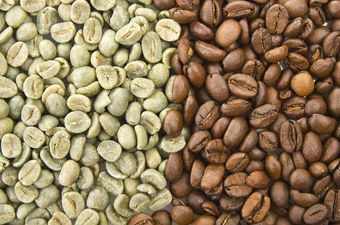 Check out the selections when you are choosing your coffee and putting it into your shopping cart. It is important to understand that your coffee will not be overpowered by the flavor. 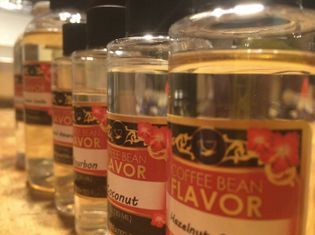 In other words, the flavor will be more like a flavor note of the coffee instead of the only thing you taste.